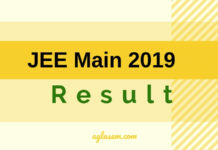 Home Engineering JEE Main JEE Main 2019 Rank Predictor: Find your all India rank now! JEE Main 2019 Rank Predictor: Find your all India rank now! JEE Main 2019 Rank Predictor – You can know the expected JEE Main 2019 Rank predicted in advance through this easy tool called JEE Main 2019 Rank Predictor. 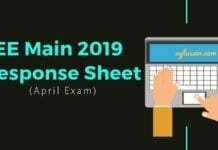 The Rank Predictor of JEE Main 2019 involves very simple steps to get an estimate on what would be the possible rank of the candidates in JEE Main 2019 Exam. Relying fully on the result shown by the rank predictor is not considered a wise decision. 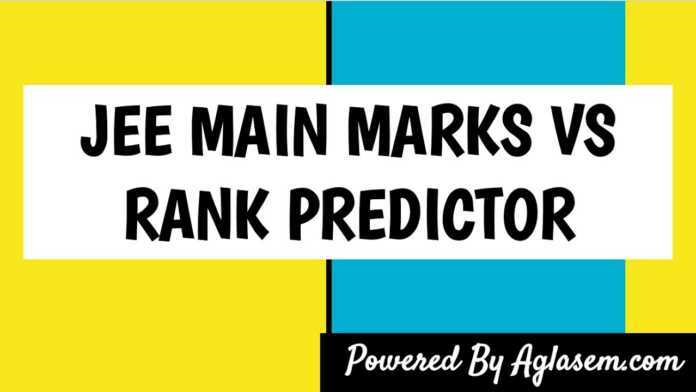 The predicted rank displayed on the JEE Main 2019 Rank Predictor, has possibilities of either moving upward or downward by one, two, or many places on release of the final result by CBSE. 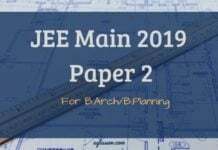 There are many JEE Main 2019 Rank Predictors available online. Students can check their ranks using any one rank predictor. Coaching institutes such as FIITJEE rank predictor JEE Main (JEE Main rank predictor FIITJEE) is also widely popular. However these predictors mainly indicate rank against JEE Main scores. Since from last year weightage is not given to the board marks, students need to use JEE Main rank predictor without board marks. However the marks obtained in board exams play an important role in determining JEE Main eligibility. Numerous engineering institutes like Bansal, Aakash, Career Point and Allen also provide online predictors. As per the convenience, students can also check their All India Rank using JEE Main rank predictor 2019 by Bansal, JEE Main rank predictor by Aakash, JEE Main rank predictor 2019 by Career Point and JEE Main rank predictor 2019 by Allen. However, results shown by these predictors are just an indicative figure and not the final result. Such tools are only to help students get a rough idea as what could be their possible ranks in the JEE Main 2019 Exam. Candidates are required to know or have an idea about the marks likely to be fetched in Board exam and in JEE Main. Students may use the JEE Main answer key to know their JEE Main score. Also, examinees are expected to have required academic qualification. Against the JEE Main score, check the Marks vs rank table to know rank. Already Know your Rank? Below listed links could help you know your possible colleges that you may get arbitrarily. Important note: Students may please note that the table for expected ranks are based on past year data and is not officially announced. Data given on this page are extrapolation of result analysis. Actual and official figures may vary from this data.